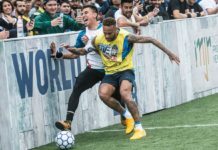 In a day filled with high temperatures and scorching competition, the Red Bull Neymar Jr’s Five qualifier in Los Angeles once again showcased the thriving football scene in the City of Angels. 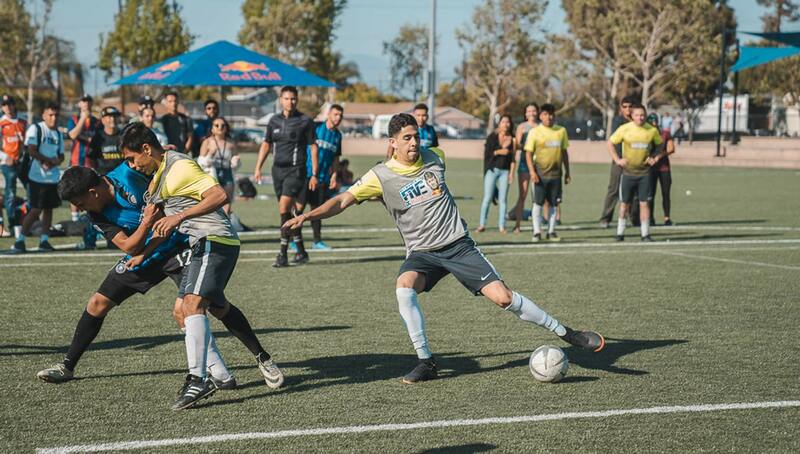 After a successful round of Training Grounds events, the official LA qualifier for the Red Bull Neymar Jr’s Five tournament took place on April 14, with dozens of teams competing for a coveted slot in the Miami U.S. Finals. 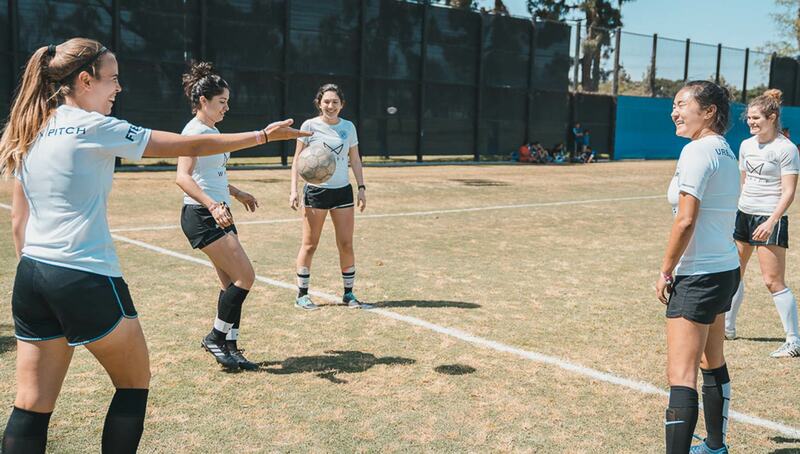 The fast-paced, intense competition introduced a women’s side this year, adding new opportunities for LA’s talent to show off. 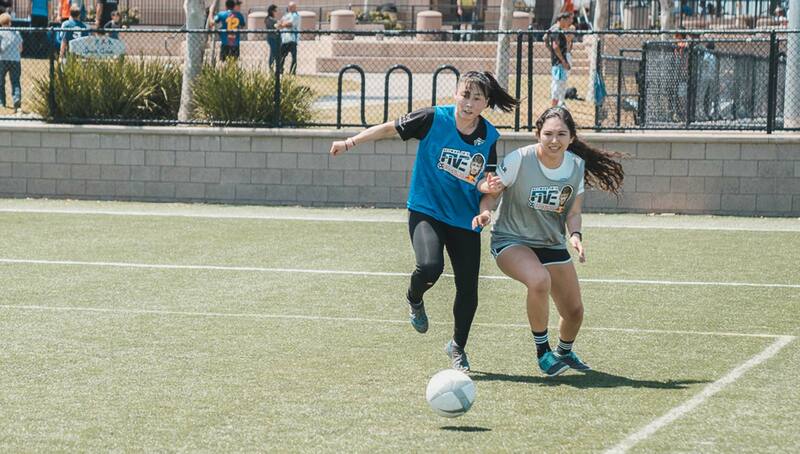 Sure enough, the event, held at the Bell Gardens Sports Center, was met with hot temperatures and even hotter competition. 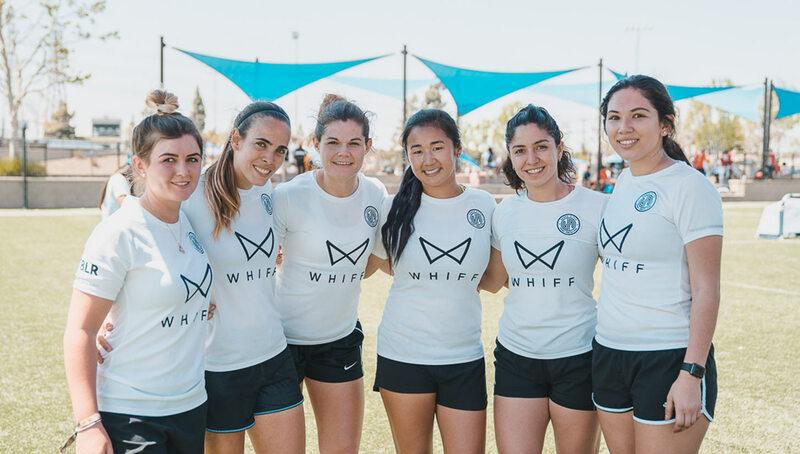 On the women’s side, there were eight teams who showed up to compete. 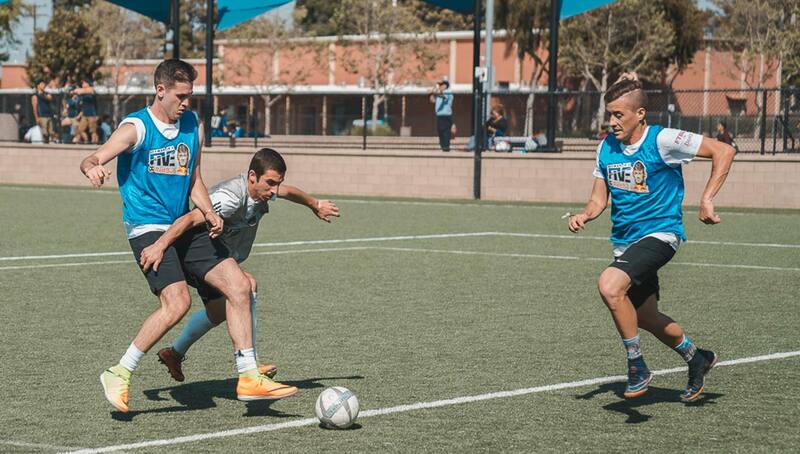 The original eight quickly dwindled to two with Crack FC and One Love making it to the finals. 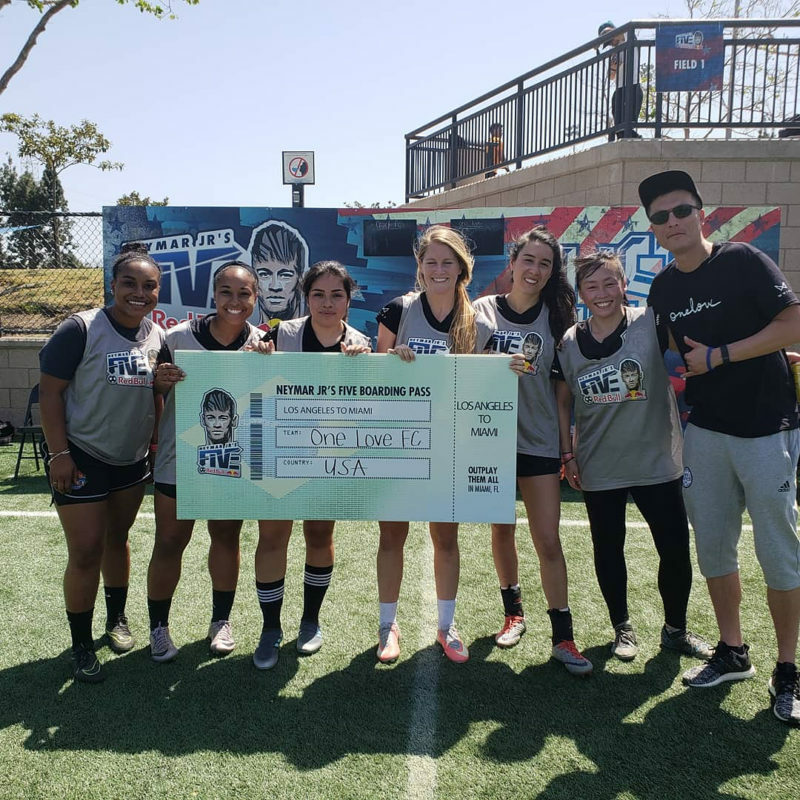 One Love spared no love for their competitors on the field, quickly scoring the first goal and subsequently four more to dominate Crack FC for a 5-0 victory. 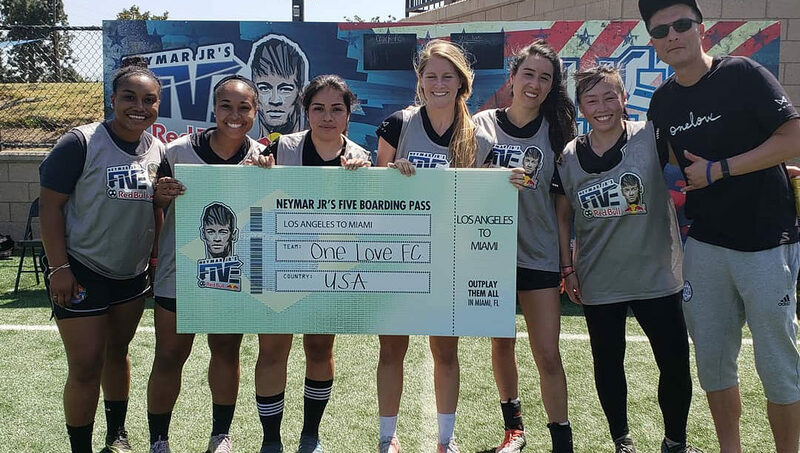 One Love’s captain, Kate Gong, enjoyed the tournament and its competitive nature. 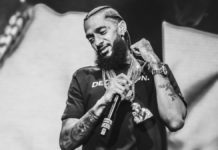 Gong, who played soccer at USC, also said the tournament’s street-style rules took some getting used to. One Love will continue on to Miami, something Gong and her teammates are excited about. “It’s awesome. 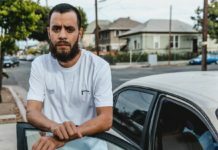 I’ve never been to Miami, so it’ll be pretty sweet,” Gong said. 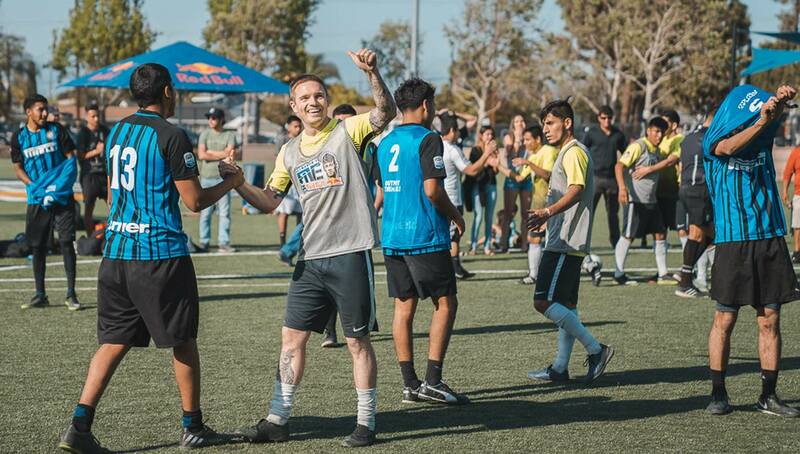 On the men’s side, 61 teams took to the fields to fight for their chance to join One Love in Miami, and after hours of matches, TC Broders and Bomb Squad were the final two standing. 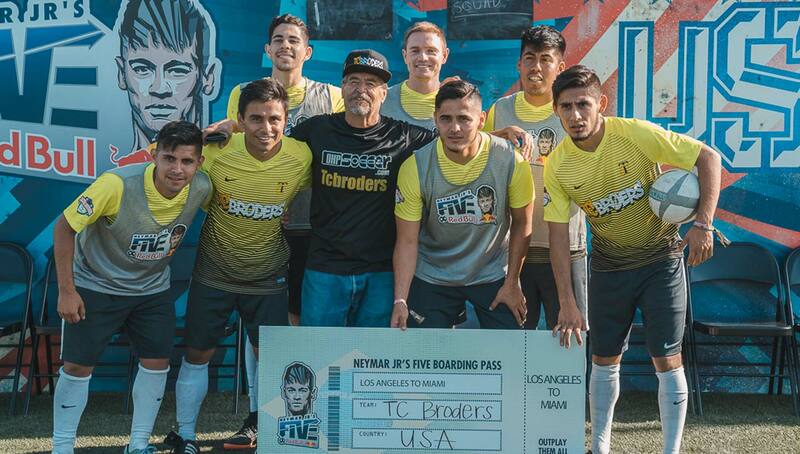 Quite possibly the most successful team in the three year history of the Neymar Jr’s Five competition, it’s no surprise that TC Broders were a favorite to win it all going into the tournament. However, Bomb Squad was not about to roll over for the Broders, who won the 2016 U.S. Final and were runners up in 2017. In a hard-fought, down-to-the-wire championship game, TC Broders were able to edge out Bomb Squad 1-0, securing their third straight trip to Miami. Jose Gonzalez, one of the four Gonzalez “broders”, said competition was tough throughout the entire day. 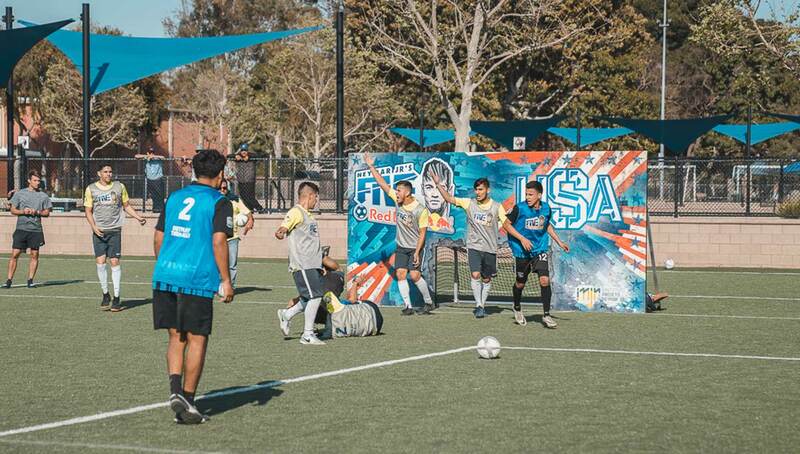 The tournament will stay in Southern California, with the next qualifier located in San Diego on May 12, where more hungry teams will look to earn a spot in Miami. 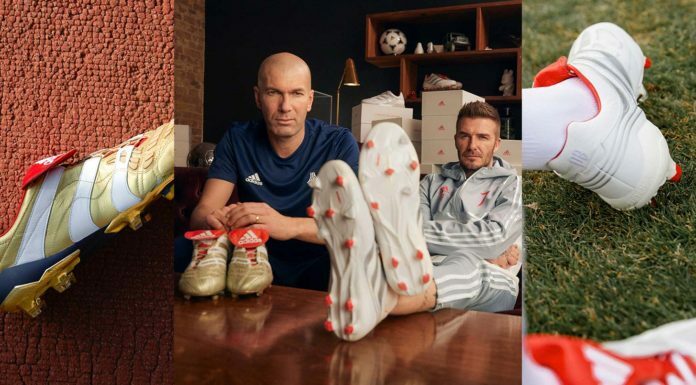 Winners of the U.S. Final in Miami will continue on to the World Final in Brazil where they will play against teams from around the world. 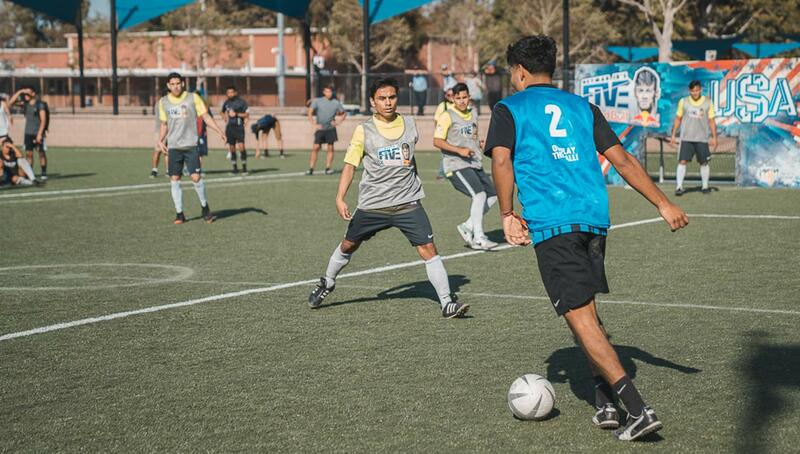 For more information about the Neymar Jr’s Five tournament, visit the Neymar Jr’s Five website.